UK-based label Paradiso Records bless us with their fourth release. Reaching across the pond, they found newcomer Belgian duo Pelace. We are always happy to showcase fresh talents and here we definitely found one! The EP stretches its legs on three tracks, taking us through a mixture of dubbed out exotica influences with more contemporary club foundations. 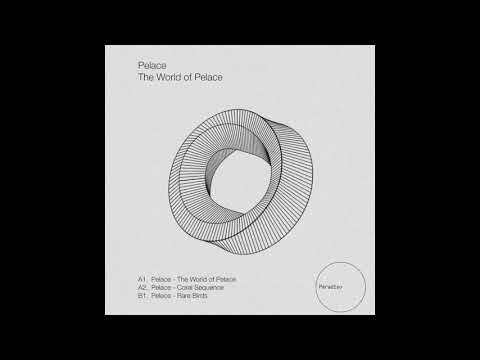 The World of Pelace is on for opening duties and acts as an introduction to the rest of the release. Percussion samples meet digital landscapes and echoing effects on a smooth fly to a distant island, over a volcano and then straight to a wild beach. Put on sunscreen children! Middle track Coral Sequence is the one we are premiering today. I hope you have not forgotten your scuba equipment because it’s time to go for a dive. Swim deep in the rhythm and explore long melodic synth lines layering on top of each other. The percussions make for strong 80’s vibe throughout the title track, it’s all about that dolphin life man. You can already buy the EP on Bandcamp.